Fleurop offers an exact delivery time service in more than 1,350 places in Switzerland during shop opening hours. Thanks to this service, you can select a specific 30-minute period for your delivery. Our new webshop for corporate clients is up and running and offers an even quicker and easier way to order flowers for your customers and staff! Fleurop gives tips on buying and caring for cut flowers, plants and candles, with tricks to prevent drooping flower heads. "Say it with flowers" – it's a great idea. Because love, emotion, joy or sympathy can leave you tongue-tied. That's when flowers can help. You don't know your loved one's or best friend's favourite colour? Use the symbolism of colours to help you decide on the colour of flower to give. Max Havelaar promotes fair trade with products from developing countries. 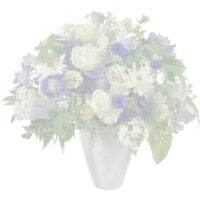 Fleurop's range has included Max Havelaar-certified Fairtrade roses of first-class florist quality for many years. Everyone's heard of Valentine's Day and Mother's Day. How about other international celebrations - Siblings Day, Positive Thinking Day, etc.? Would you like to receive our electronic newsletter? We are looking forward to your contact. Register now as a corporate client and profit from a monthly billing and a 5% discount on the flower value from your very first order. Pure Spring, with Gottlieber Hüppen "Special Edition for Fleurop"
To log in, please enter your e-mail address and your password and click Login. Login error. Please enter your e-mail address and your password. the link provided in the e-mail. We’ve got a new webshop as of January 2018, so you have to redefine your password. You’ve just received an e-mail from us asking you to reset your password. I would like to become a member. Register free, get your starter bonus, collect points on all Fleurop sales channels and enjoy discounts, special rewards and great surprises. Fruity, fresh and with a floral note: that's our Prosecco Albino Armani DOC Extra Dry, which you can find here with or without ice bucket and glasses. It comes from the Friuli region and is produced by a passionate winemaker. We have two top red wines by Albino Armani for you: the full-bodied Amarone della Valpolicella DOCG Classico and the complex Valpolicella DOC Classico Superiore Ripasso. Both originate from the hilly and mountainous Valpolicella region near Marano. Bee-Family’s honey products are of impressively high quality.They are laboratory tested and guaranteed residue-free. In addition, Bee-Family promotes the keeping and preservation of healthy bee breeds in unspoilt, natural regions. Maestrani's Minor and Munz chocolate brands are delicious, whether it's bars bearing a message, lucky chocolate ladybirds or a tin of Split Minis. There's also a lot to say about cocoa, chocolate and the "Maestrani's Chocolarium" experience. Gottlieber Hüppen are baked, rolled and finished off with delicious fillings. They were "invented" by a clever woman, are a delicious present and an interesting subject. Cocoa almonds from Gottlieber are roasted, coated in chocolate and sprinkled with cocoa powder. Not only is their manufacture fascinating, but also their history and symbolism. They’re cuddly and sweet and a charming gesture as a gift for old and young. There are interesting (and amusing) stories about teddies and where they came from. High-quality gunpowder green tea, delicately piquant white tea, refreshing fruit teas: the tea-sets from Gottlieber will enchant you with their outstanding quality, oriental style tea caddies and practical tea infuser.